When last we saw Daisy Ridley, it was a long time ago in a galaxy far, far away, with the British actress smartly and swiftly learning the ways of The Force as the ever-spirited Rey continuing her battle against the Evil Empire in "Star Wars: The Last Jedi." Now she's the equally energetic title character in "Ophelia," only this time resisting the slings and arrows of outrageous fortune befalling her as a put-upon lady-in-waiting, who tries to be (but pretends not to be) a strong, independent woman of the late middle ages. Certainly, this new perspective on all the infamous Elsinore intrigue from the one-of-a-kind "Hamlet" tale takes a more feminist turn, which director Claire McCarthy apparently borrows from the young adult novel by Lisa Klein. In fact, McCarthy and screenwriter Semi Chellas both push Prince Hamlet backstage here, with Ophelia coming out of the wings, so to speak, and exbhibiting the great Dane-like strength of a legitimate heroine. 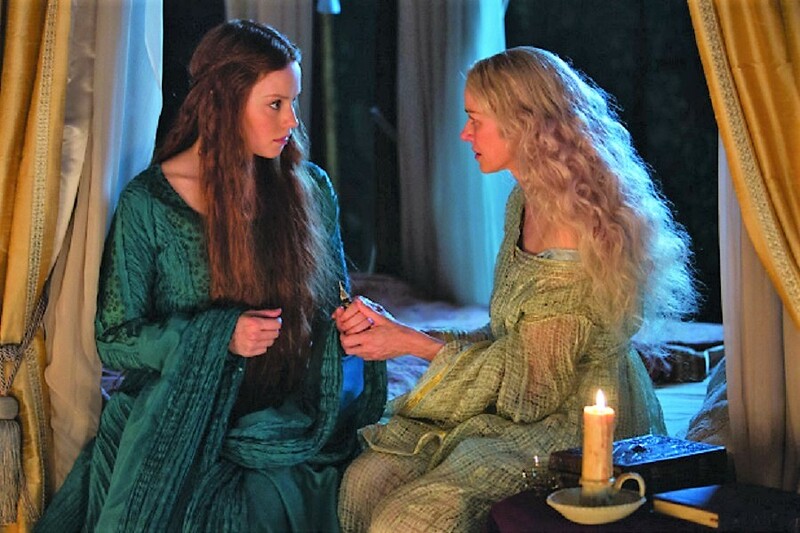 Ridley's "Ophelia" and Watts' Gertrude become quite the BFFs. In a direct nod to her death by drowning according to Shakespeare, the film actually opens with Ophelia floating on her back and thinking out loud: "I have seen more of heaven and hell than most people have dreamed of . . . It's high time I tell you my story myself." And so she does, starting with her tomboyish days of roughhousing with pal Hamlet until his mother, the Queen Gertrude (Naomi Watts), discovers her hiding under a table. The rest becomes a kind of revisionist history -- some refreshing, parts poetically blasphemous -- but all likely redesigned to inspire the Millennial movie-going masses. With Ridley's "Star Wars" cred on full display, and "Harry Potter" franchise fave Tom Felton (Draco Malfoy) taking a nice swing at portraying Ophelia's brother Laertes, this new telling of a familiar story seems right on target. However, we can't blame the more classically inclined for possibly wondering: "Oh Shakespeare, my Shakespeare, where art thou?" The best answer is that there are enough touches of The Bard scattered and splattered in a mostly lavish-looking chick flick that even has an occasional kick. By the way, a secondary role by Watts (as Gertrude's sorceress twin sister) and a goofy wig worn by Clive Owen (as Claudius) dance around the edges of hoot worthy, too.